Over the past years, I’ve written about printing full-bleed labels many times. In fact, searching www.colorlabelsondemand.blogspot.com, I found 23 different posts with the term “full-bleed” used. I’ve written about this topic as it’s not easy to do correctly. But here is the best/least expensive option I know to print full-bleed every time. Recently, I had a customer who wanted to get good looking, full-bleed labels every time. One option is to purchase a finishing unit and then laminate, die cut, weed the matrix, slit and rewind in one operation. However, a finishing unit may be considered expensive unless a large number of labels is required. Another option is to purchase labels with the matrix on and remove the matrix around the labels after printing. Then you can print beyond the die-cut label to insure no white space occurs with the printing. I’ve written about this approach before using the DPR inline matrix remover integrated with the C7500. 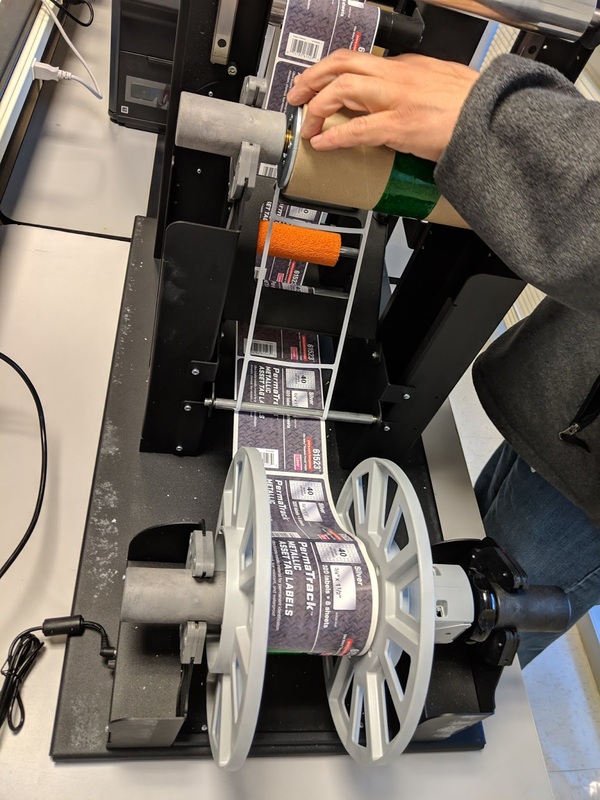 According to Michael Panzeri, of DPR (https://www.dpr-llc.com/) “The intention of this accessory is to get faster, easier and perfect full-bleed labels every time.” With headquarters in Milan, Italy and a branch in Sunrise FL, USA, D.P.R. provides superior solutions for the labeling industry, serving both the domestic and international markets. 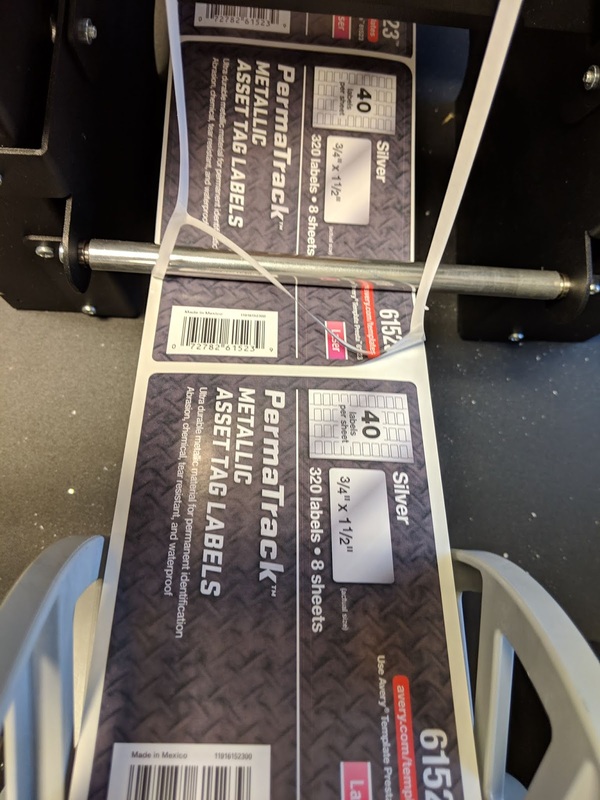 To produce full-bleed label production with the In-Line Matrix Remover, you need to start by using labels with the matrix left on and with blackmarks on the back. The blackmarks tell the printer where the “top-of-form” starts to begin printing and the matrix allows for printing beyond the edge of the label. 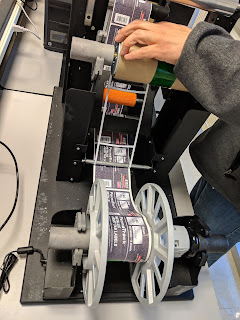 Once printed, the matrix remover pulls off the matrix leaving the labels rewound and ready for placing on an applicator. Above, you can see the corner of the label is lifting with the matrix. 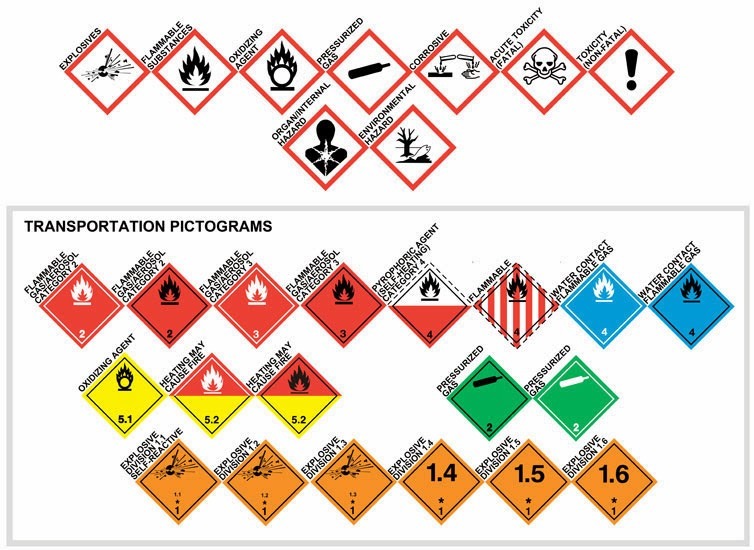 To insure this situation does not occur, you need labels die-cut properly to insure the matrix comes off without separating the main labels. (FYI: we did not make these labels). The DPR In-Line Matrix Remover costs $3,958 currently and works well with the C7500. With these two machines, you can get perfect edge-to-edge printed labels every time. And this process is basically how larger presses operate; by printing first and then die cutting/removing the matrix second. It’s a good investment if you must have labels printed correctly to the edge every time. If you want great looking full-bleed labels, contact us. We’ll help you put this solution to work for you. If you want to buying compatible toner cartridges, then visit PremiumToners.com. The store has verity of printer toner cartridges.